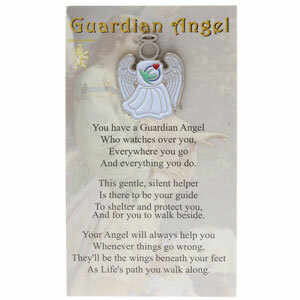 Visiting Nurse Guardian Angel Pin. 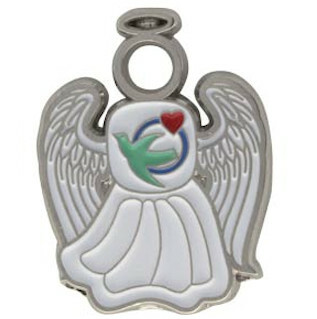 1 inch shiny white and silver angel pin features a heart and a dove depicted in the center of the angel. We all know that a nurse is closest to an angel for many patients. Comes carded.